Waiting to welcome us at Dubai airport, was a smartly dressed chauffeur from the Palazzo Versace, young Ali, who greeted us and walked us to the hotel limousine. 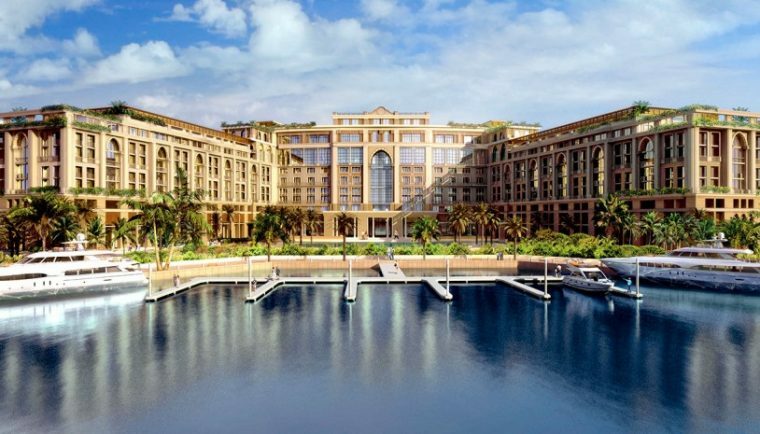 In a little over 15 minutes, we were in the heart of Dubai’s new Culture Village, and soon pulled up to the entrance of the magnificent Palazzo Versace. From the moment you walk through the doors of the uber chic hotel, you feel the richness of the iconic fashion brand, right from the vast 10,800 sq foot lavish lobby, to the ‘oh-so familiar’ medusa design on the floor. One can’t help go ‘wow’ when one sees the magic touch of versace everywhere, from the fabric on the drapes, to the very classy upholstery on the lobby furniture, the lights and the fabulous fashion fittings. The lovely young Safari, who checked us in with a bright welcoming smile, while walking us to our room, pointed to the mosaic flooring and amazed us with the details of how a renowned Italian Mosaic company Fantini, the same company that had commissioned work at Gianni Versace’s palatial home in Miami, had painstakingly laid a total of 1.5 million individual pieces to make up what was an awe-inspiring Versace carpet like design. Another fact which added to the awesomeness of this unique fashion hotel was that all staff uniforms had been designed by The House Of Versace. 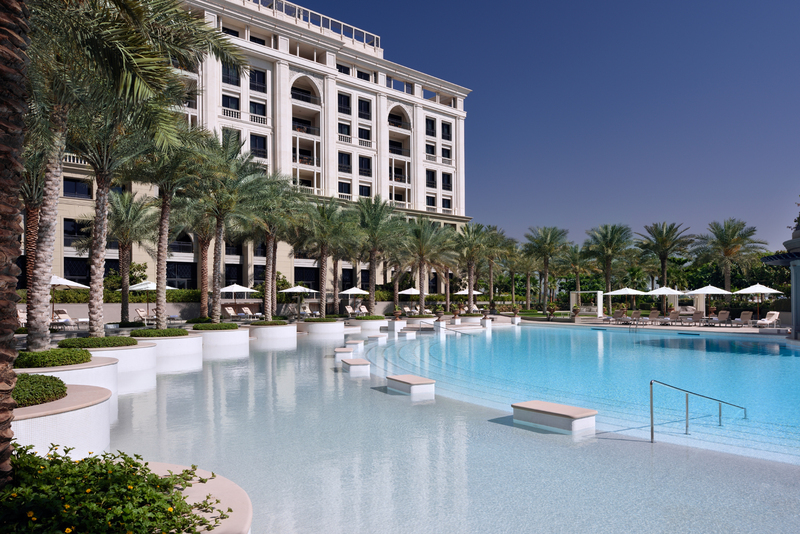 Safari directed us to our room at the Palazzo Versace, ‘The Grand Suite Creek View’ . We stepped out of the Versace elevator and walked up to the door of our room where even the RFID key system against the Medusa Logo, had a touch of fashion to it. 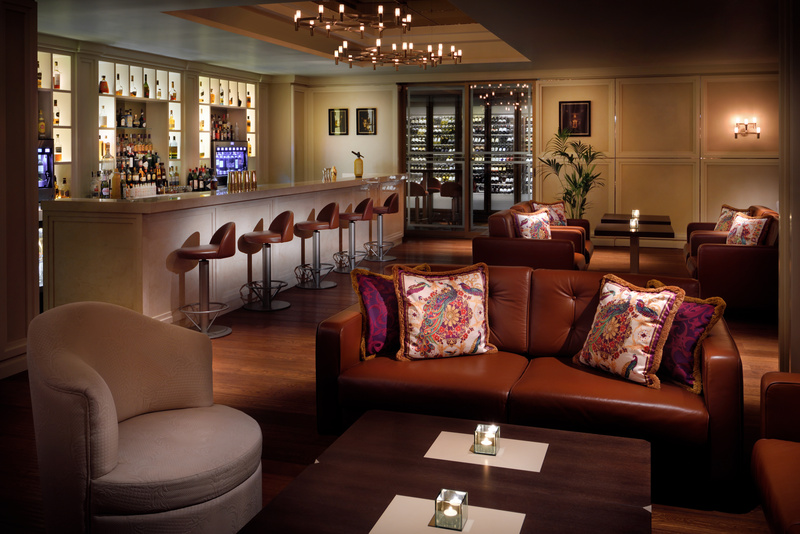 When we walked into our suite, an immense sense of class and style overwhelmed us. Yet again, rich touches of Versace were everywhere. We felt elated with the exquisiteness which greeted us at every turn. The vast living area with a terrace, which offered views of the creek, was done up mostly in shades of subtle peach. 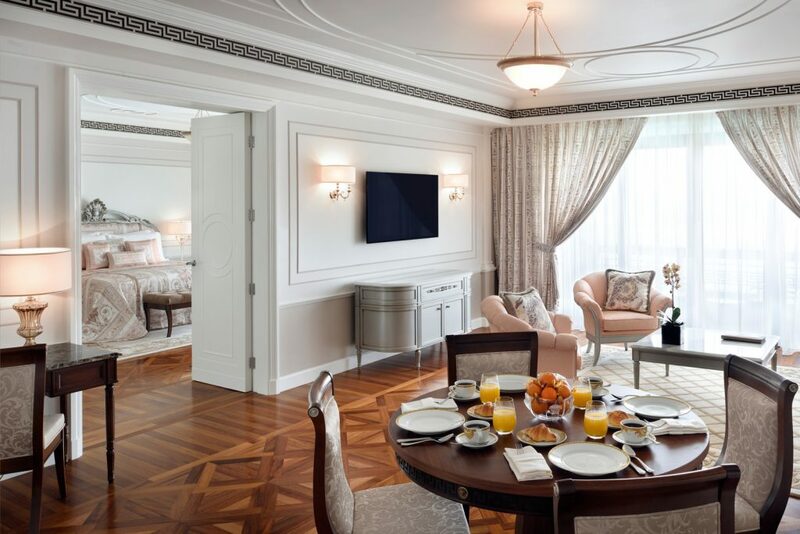 Versace cushions on a super king size bed gave the bedroom a life of its own, while the bathroom, adorned in gleaming white marble with baby soft towels and Versace toiletries, completed the grandness of this truly opulent suite. Laveena and I are lucky to have experienced luxury at various hotel properties across the world, but the level of luxury at the Palazzo Versace hotel, is hard to equal. Even the mini bars are stocked with tall Medusa Lumiere cocktail glasses from the Versace Home Collection, while the crystal water glasses with 3D Medussa Heads at the bottom are fantastic creations of Rosenthal. We had a light lunch at Giardino, the all-day dining restaurant which had on offer a lavish buffet with delicious oysters, crab, lobster, Asian fare including sichuan, South Korean, Vietnamese and Japanese Sushi, Italian, Indian and Arabic Mezze. Giardino is popular for it’s grand Sunday buffet, among local ex-pats. 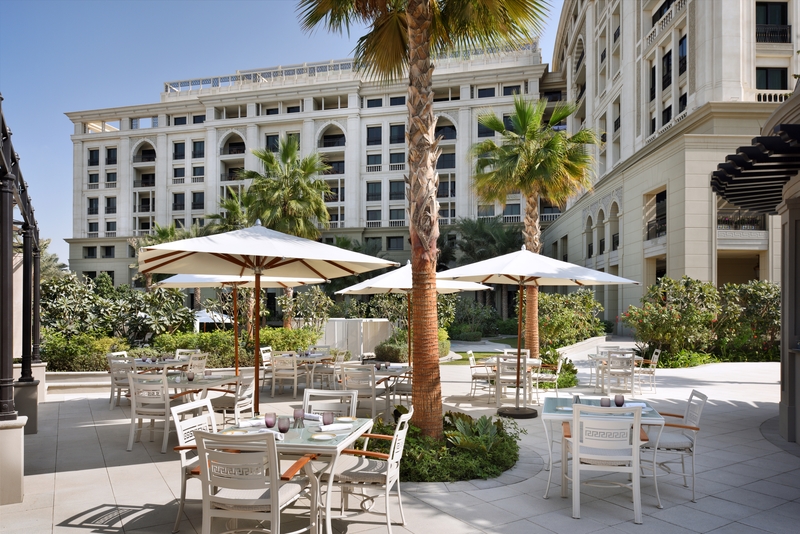 They have a live band, a wide range of exotic cocktails and an incredible food spread on offer at the Sunday buffet. 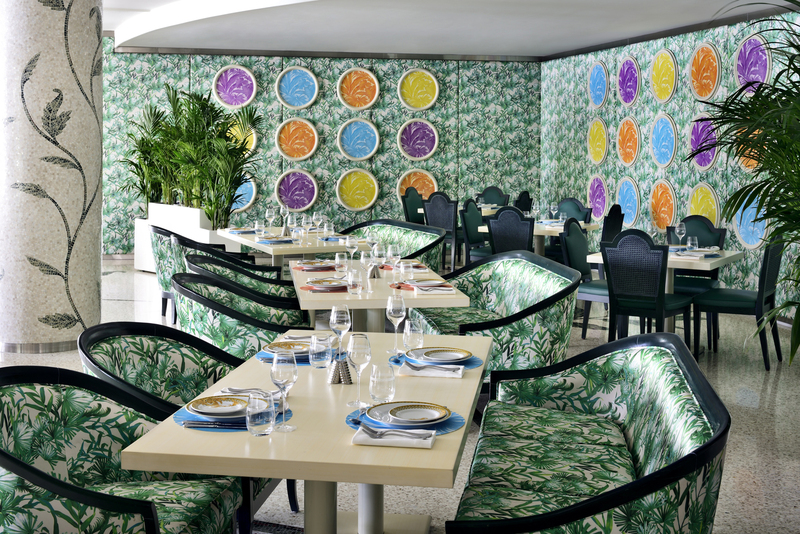 What struck us about the decor of the restaurant was the wall covering, which we were told was inspired by the jungle motif of Versace’s wallpaper collection. 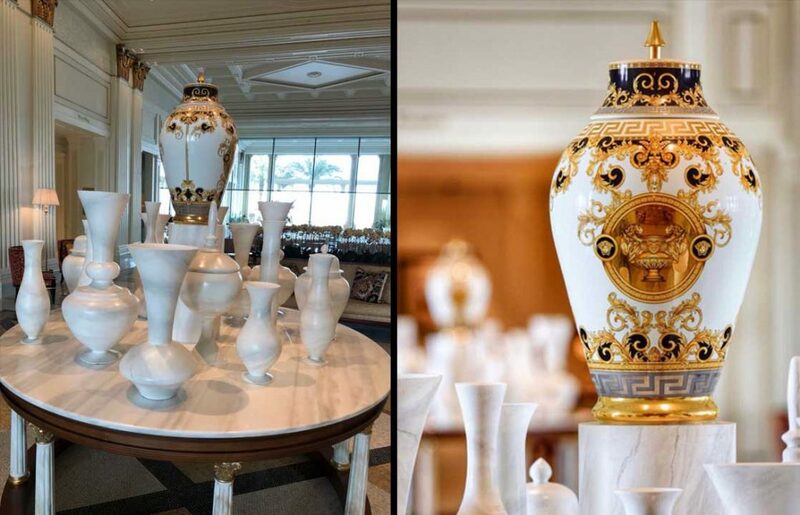 We were also informed that the fine crockery was an exclusive line from the “Rosenthal meets Versace” collection, inspired by “Les Reves Byzantines”. 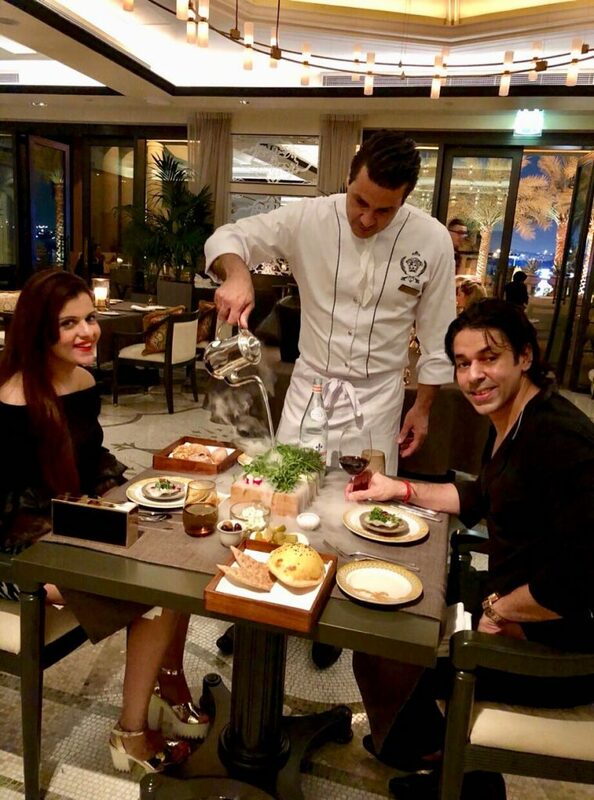 We chose not to over-eat, as we had a reservation that evening at Enigma, where Michelin Starred Executive Chef, Mansour Mamarian had promised to present us with a gastronomic feast which would be one of the finest we had ever experienced. After a brief afternoon siesta, we visited the Dubai Mall where many of the stores were having an Easter weekend sale. We returned to the hotel a little before 6pm and spent some time at Qs, a bar designed by the legend himself, Quincy Jones. A live band entertained us for a bit, before Laveena and I headed to La Vita for a pre-dinner cocktail. While at La Vita, we were told that we were going to love our time at Engima. Given that we were lucky to have dined at some of the finest restaurants in the world with personal attention showered on us from a number of Michelin starred culinary wizards, we were prepared for an evening of wonder and magic, but what we were treated to at Enigma, was nothing short of ‘unexpected magnificence’ at level we could never have imagined. Never before had we experienced culinary magic from a 2 starred Michelin Chef of Iranian and German descent. 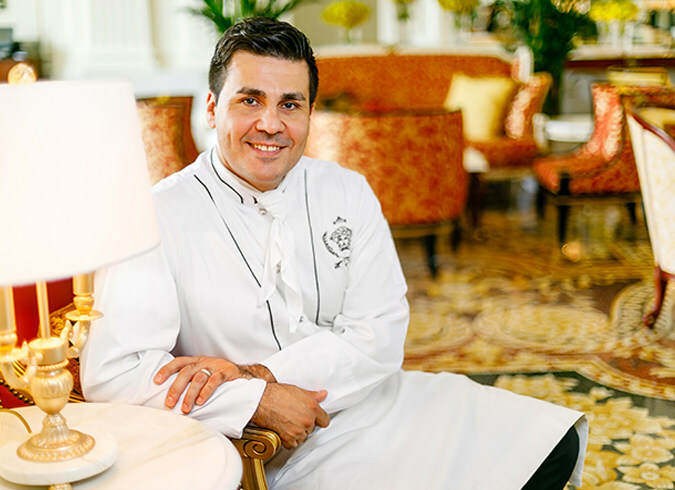 Mansour Memarian had served the likes of Queen Elizabeth II, Tom Cruise and Jennifer Lopez and Laveena and I understood why they fell in love with his sheer cooking flair. 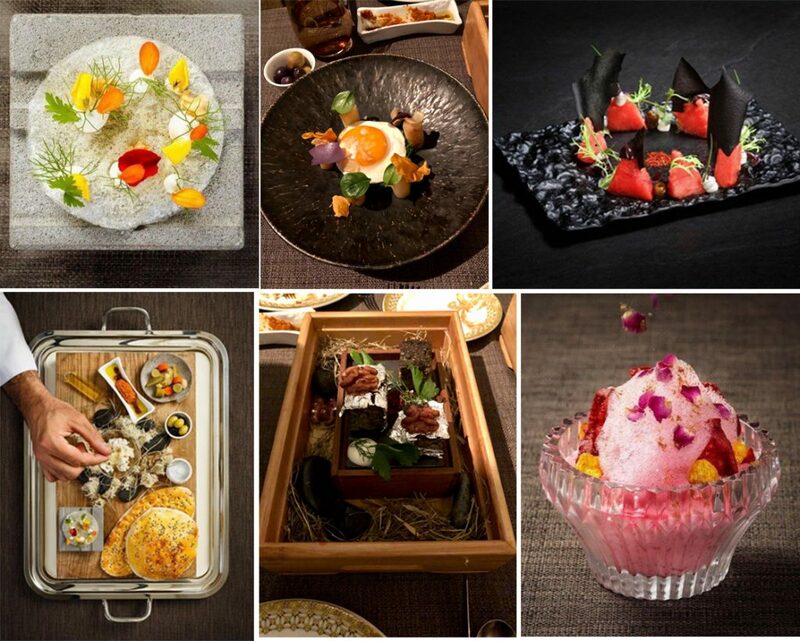 Each dish was a humble example of his distinct style and his signature creative genius. 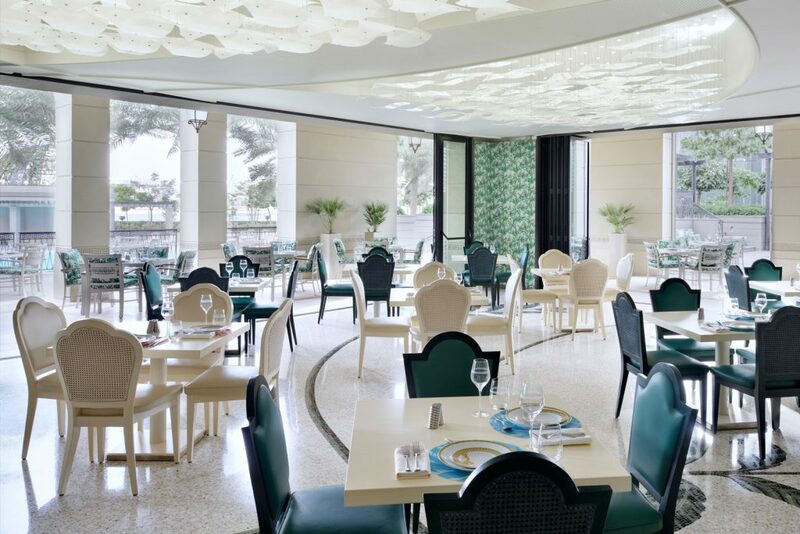 When in Dubai next, you my dear reader, cannot, not experience Mansour’s magic at ‘Enigma’ at the fabulous Palazzo Versace hotel. 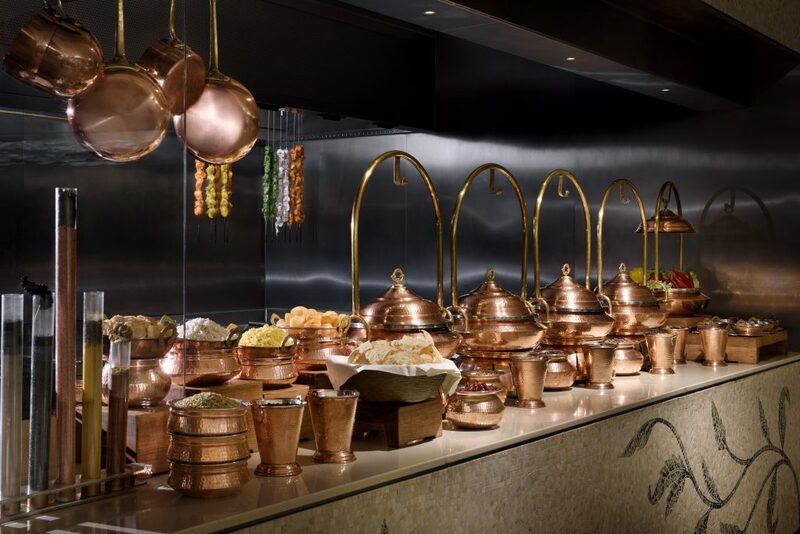 From the Iranian caviar, to the Zeytoon Parwardeh, the Salad Chupan, the Masto Laboo, the Kuku Sabzi Palazzo, the Kashke Bademjun, the mouth-wateringly divine kabab kubide, the kabab masti and the grand finale, the Faludeh. 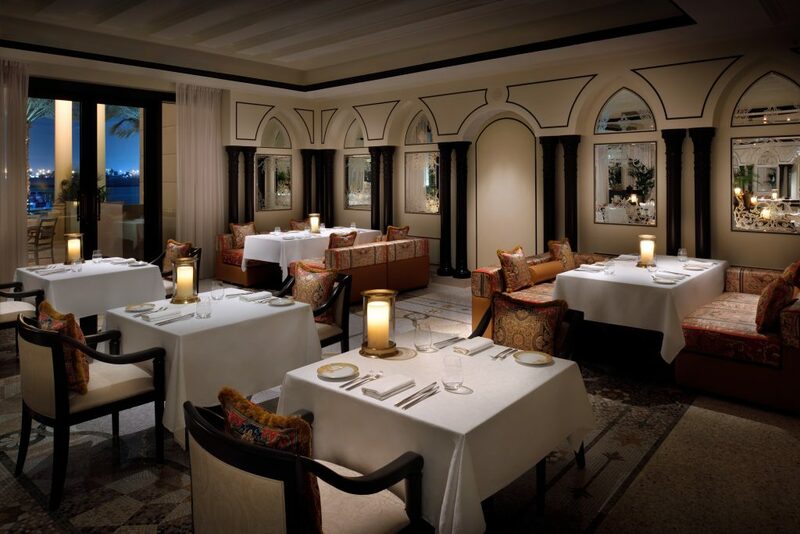 Only a few get to experience Mansour’s mysticism and his take on the royal tastes of Persia. And if you have something in your life worth celebrating, here is where you should do it. At Enigma at the Palazzo Versace Hotel. 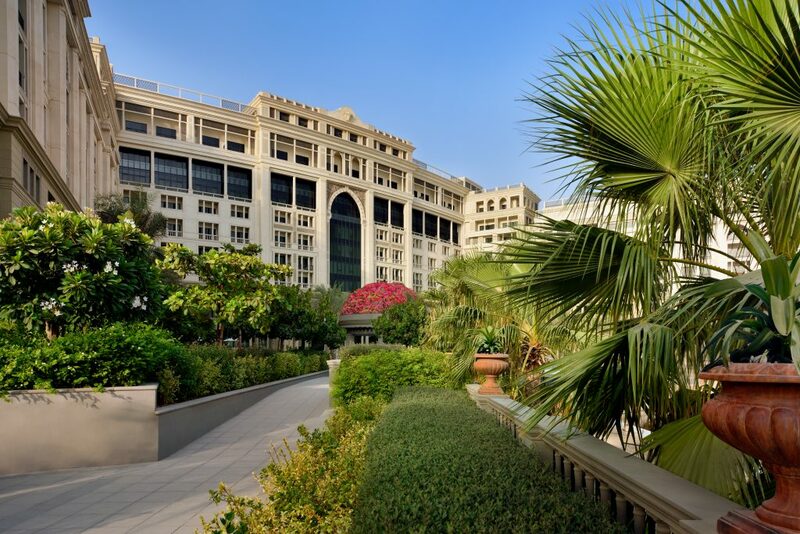 The thing about the Palazzo Versace that we found appealing, was that it was located by the Dubai creek and that it had this lovely pedestrian promenade which we chose to visit for our post dinner walk. And what an amazingly peaceful walk it was. We strolled by the marina where a few super yachts were anchored and went all the way around what seemed like at least a 2-3 km long stretch. It was quiet, like an oasis in the middle of a bustling desert city. 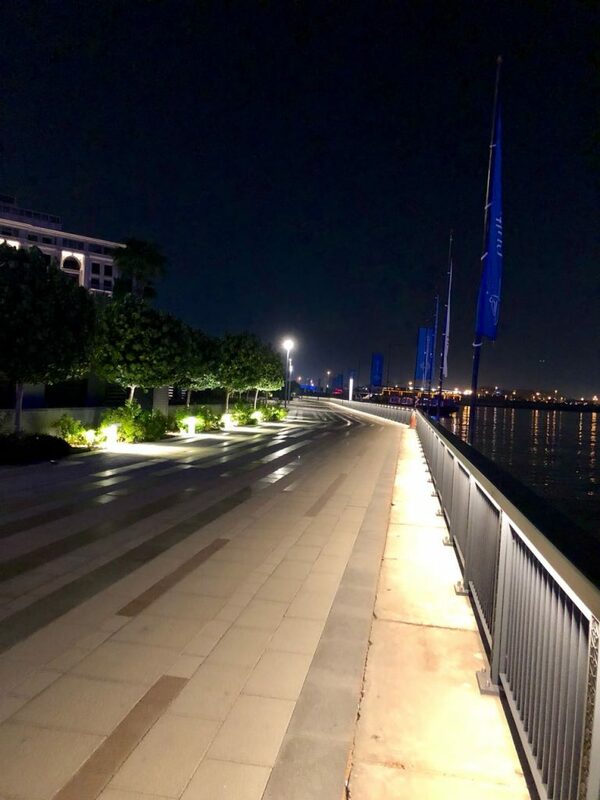 Being by the water, helped cool the evening temperatures considerably and both Laveena and I deliberately stretched the distance of our walk, so that we could enjoy this charming outdoor promenade by the waterside. We had a lovely breakfast the next day at the executive lounge, which was indeed very private. 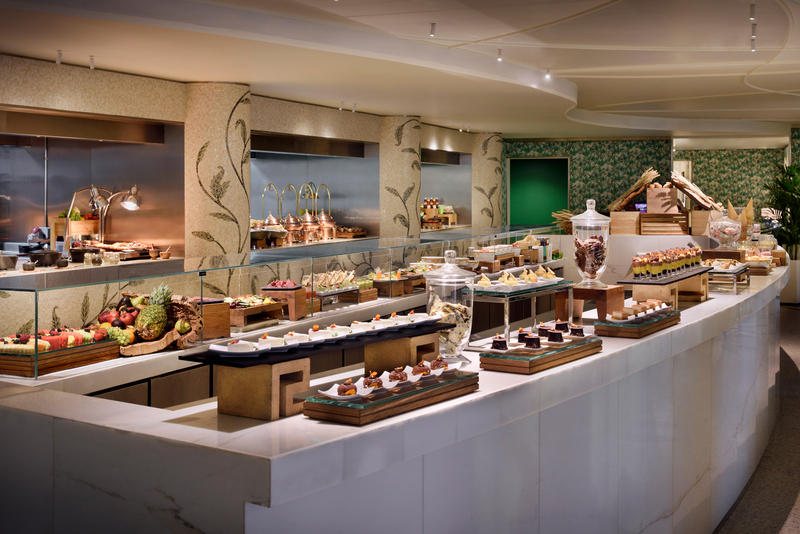 It seemed as if most hotel residents with access to the lounge, preferred the larger breakfast buffet choice at Giardino’s and chose to eat there. 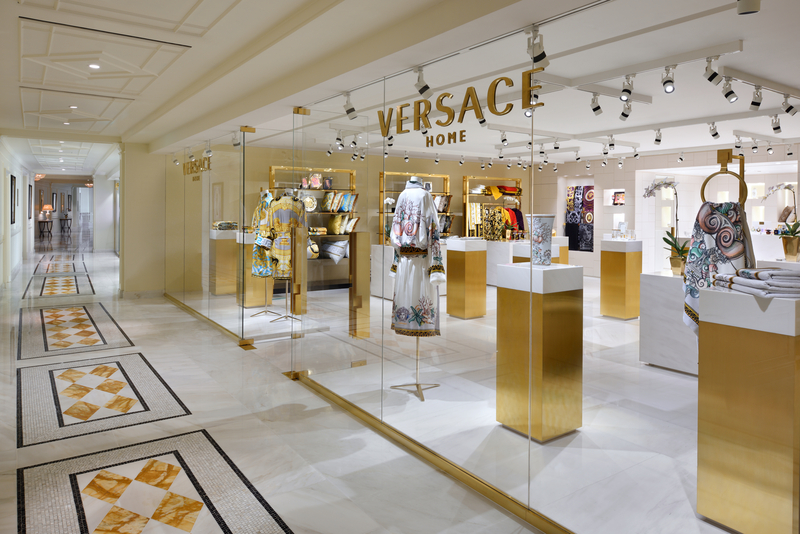 After breakfast, we visited the Versace home store at the hotel and after shopping for some unique fashion memorabilia, we returned to our suite to prepare for our late morning appointment at the Spa. At 11:30 am, we walked into the chic wellness zone with it’s Granito Nero Assoluto marble floors which matched the grey degrade mosaics and the white birch-wood walls with mother of pearl details. 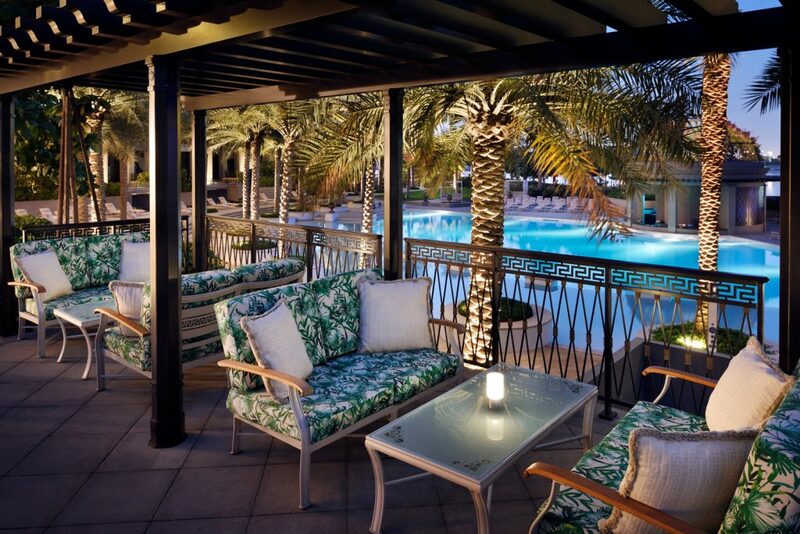 This is where we felt like true patrons of luxury, as I walked toward the gentleman’s side of the spa and after a shower slipped into one of the temperature controlled plunge pools which had a floor of vibrant turquoise mosaic tiles. It was quiet and peaceful, as I was the only person there at the time. I still had 15 minutes before my deep tissue massage and I decided to make the most of the tranquility I was so deeply immersed in. 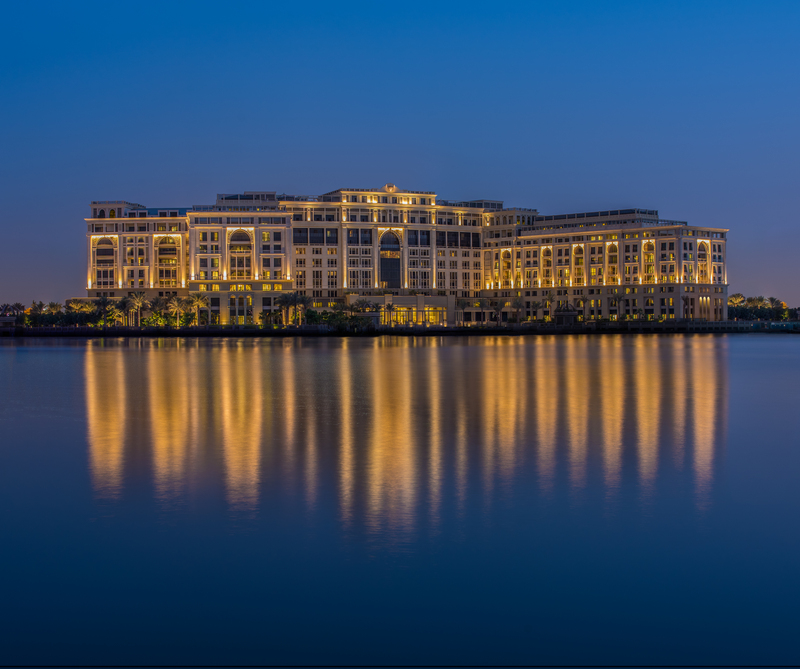 It is here that I reliased how easily Laveena and I had immersed ourselves in the glamour and luxurious opulence of the Palazzo Versace Dubai. 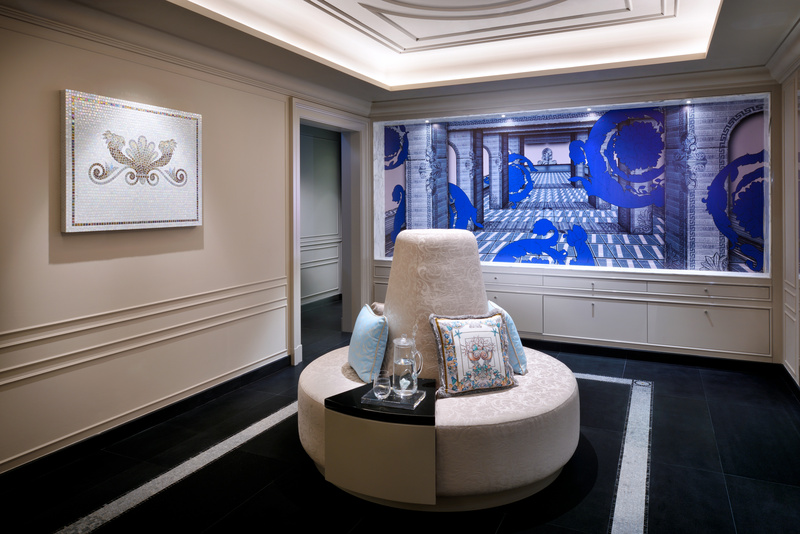 Even the walls and the ceilings of the spa had that distinctive and iconic style of Versace. Feeling rejuvenated and refreshed, we spent the next few hours at Portofino, one of three pools at the hotel. We had decided to try all three of the hotel pools. On our first day we had a swim at Capri, the Central pool and we planned to swim at Ischia, the East pool on our final day at the property. For lunch, we headed to Amalfi, the pool side restaurant. On offer was mediterranean cuisine with wood fired pizzas and some fresh salads which we enjoyed with some chilled iced beer and some foot tapping 80s music belted out by the resident DJ. 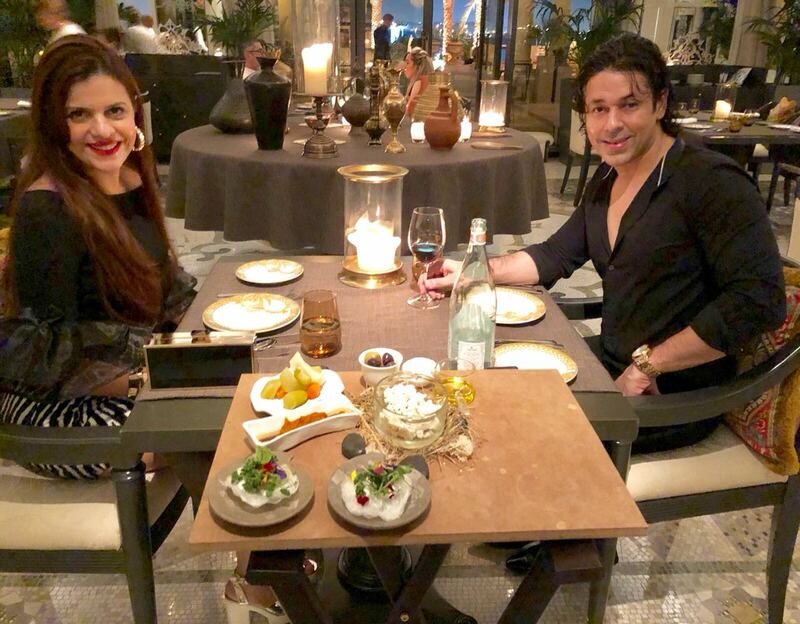 It was an interesting morning at the Palazzo Versace, a hotel, both Laveena and I had come to love in so many ways, given the mix of style, finesse, opulence, luxury, class, packed with dollops of warmth, care and extremely high standards of service. On our next visit to Dubai, Laveena and I have yet again chosen to stay at the Palazzo Versace hotel, a property where the uniqueness and iconoic style of the brand is so elegantly conveyed to guests. 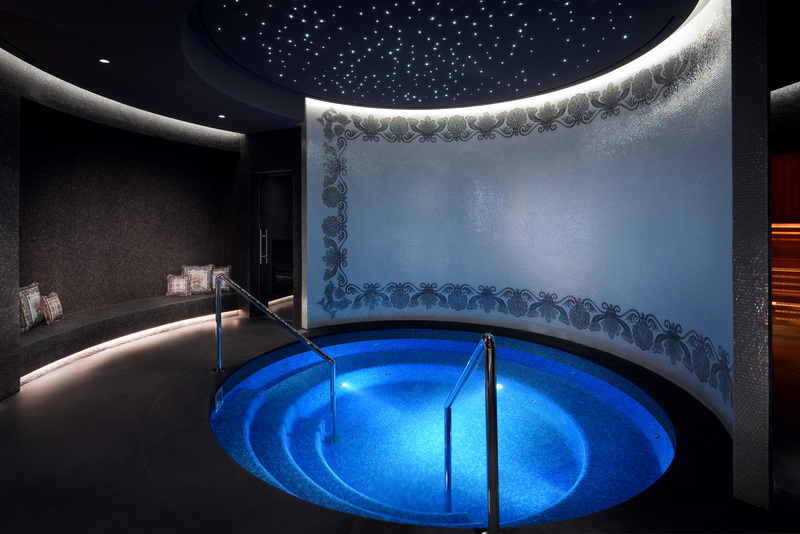 While at the hotel, one gets to truly experience the ultimate Versace lifestyle, something both of us very highly recommend. 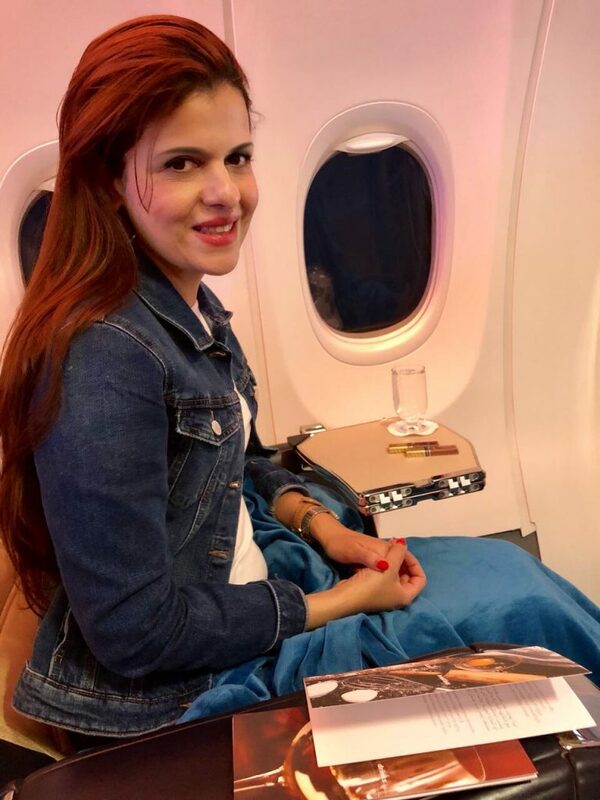 I’m in love with reading your travelogues. What an amazing and lavish experience you had at this fantabulous place. Sounds like you had an absolutely smashing vacation. It’s fantastic to be able to experience a complete luxury vacation that pervades every aspect of your stay, down to the uniforms of the staff! The place is looking so lavish and classy. I love your detailed experience there. you had such a fantastic time there. Beautiful clicks too. 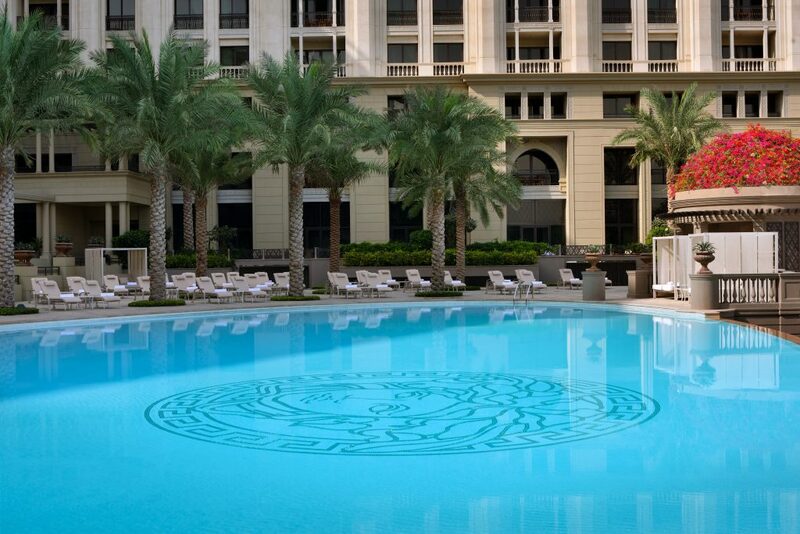 The Palazzo Versace hotel looks so luxurious and will definitely ensure a memorable stay with lors of offerings. Its a beautiful place indeed. Lovely pictures and a very detailed post. 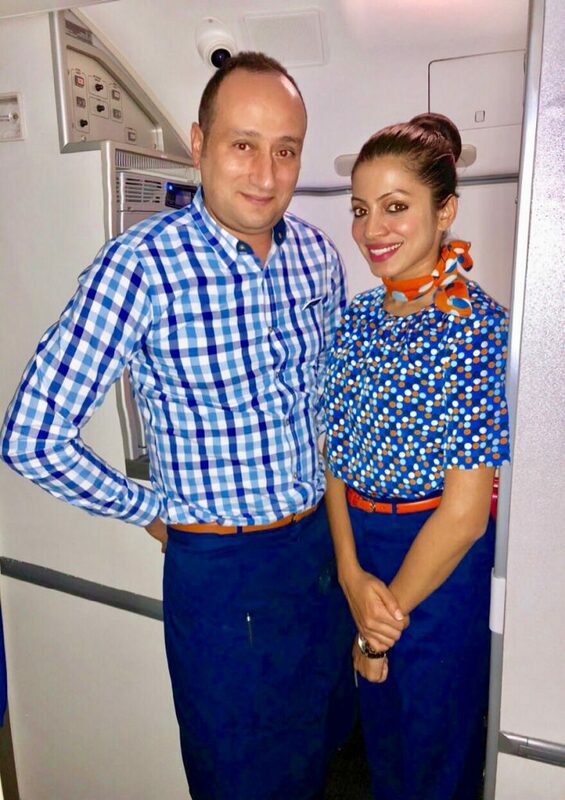 Am sure it was a great experience! 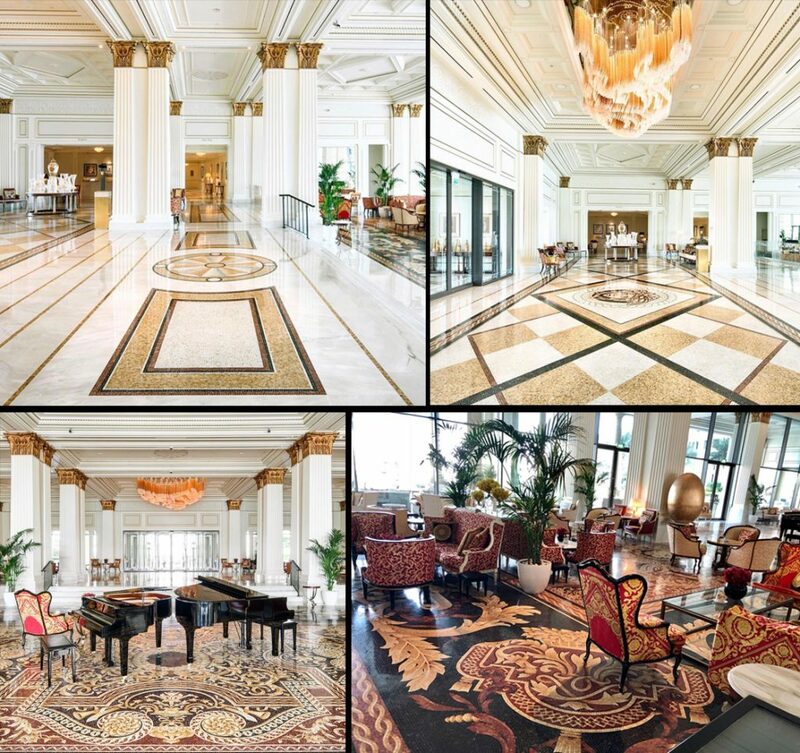 Plazzo Versace hotel looks great. Awesome pictures and videos. Thanks for the review and details.